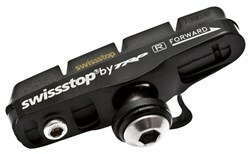 With the Flash Pro brake pads, SwissStop offers the best braking performance in all conditions for every type of bike. 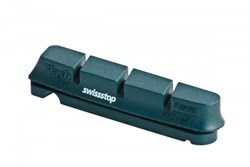 Four different compounds are available - for optimised braking control, choose the compound that suits your application. Power Black compound is suitable for less aggressive riding and is very good in dry and wet conditions. It is specifically recommended for rims made of softer alloy. GHP II is a high performance compound for aluminium rims. It is excellent in the dry and unbeatable in the rain. It has extremely low pad and rim wear. Yellow King is has awesome power (wet and dry) and precise modulation on carbon rims. No squeaking and very little wear to the rim. It's also good for alloy rims. Done less than 100 miles since fitting them and work well once bedded in. 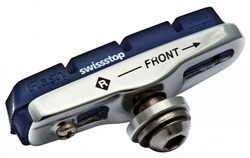 I find I can brake later and harder than I could with standard Shimano blocks in Dura Ace calipers. 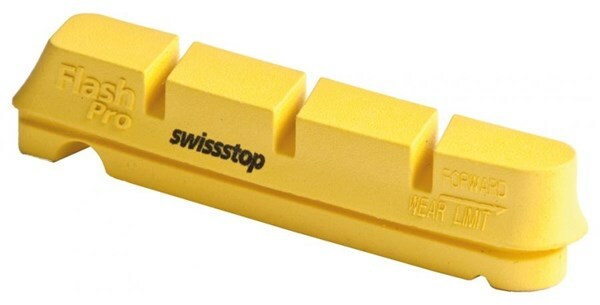 These replaced the standard TRP blocks fitted to my bike and are a much more improvement to my stopping distances and feel,, plus at a great competitive price. Based on all the general reviews of this product I must be one of the few people who found these pads pretty poor; enough to go back to Shimano pads. These pads just work , when you apply your brake leaver you know you will be in control of your machine, a bit more money than other brands. 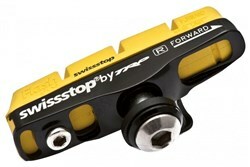 I would rather pay a little more for safe stopping power on a road bike . They also come in different colours aswell. got the Blue pads to go with my Cero 30mm aluminium wheels and they're great. Best rim brakes I've had, wow! I wish I had disc brakes but these are good. May get some for my CX Bike now. Cost a lot but I guess you get what you pay for?? Great on carbon clinchers Black prince Worth the extra on the yellow ones if they do not go with your bike. Did a 700 mile trip in Spain including 12800 metre of hills these brake pads were superb for the downhill sections wet as well as dry.